Contrary to popular belief, manufacturing in the United States isn’t dead. “Consumers today want more locally made products, they want more locally inspired brands, and at least today, growth in those industries is offsetting losses in manufacturing that are from automation and technology,” Bart Taylor, founder and publisher of CompanyWeek said. 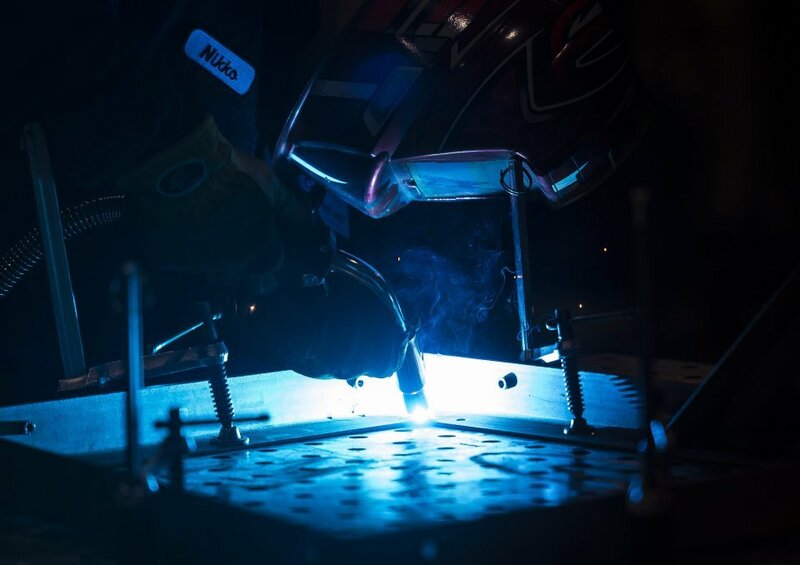 Read more about the growth of manufacturing in Colorado here! For the past three years, Heaton Middle School has been rated as a “certified” AVID School for its exemplary work in readying young Hawks for a productive and enriching life beyond middle school. On Thursday, Heaton was rewarded for those years of dedication by being named an AVID Demonstration School. Nationwide, only about 170 schools — 2 percent — have reached this distinguished level. Gordon Mosher, an official validator from AVID, was on hand Thursday to bestow the honor during an afternoon school-wide assembly. Advancement Via Individual Determination, or AVID, is a curriculum designed to help students — especially those traditionally underrepresented in higher education — develop the skills to be successful in college. 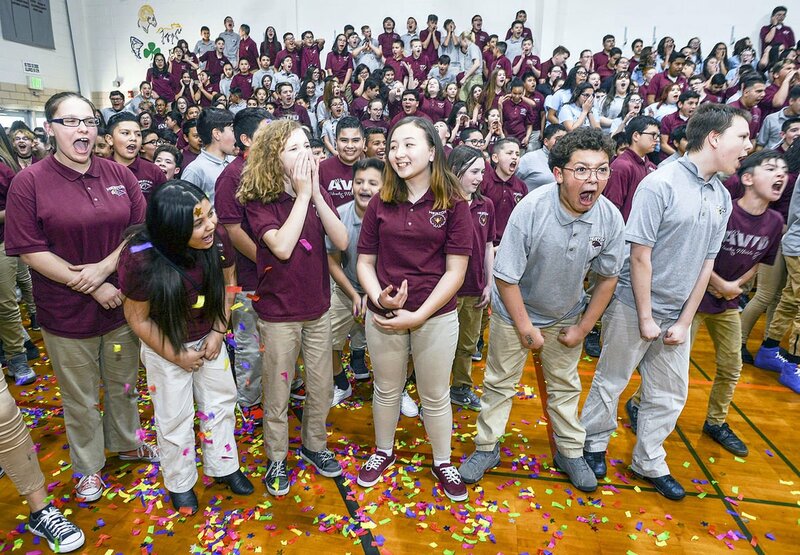 Big congratulations for the District 60 middle school! 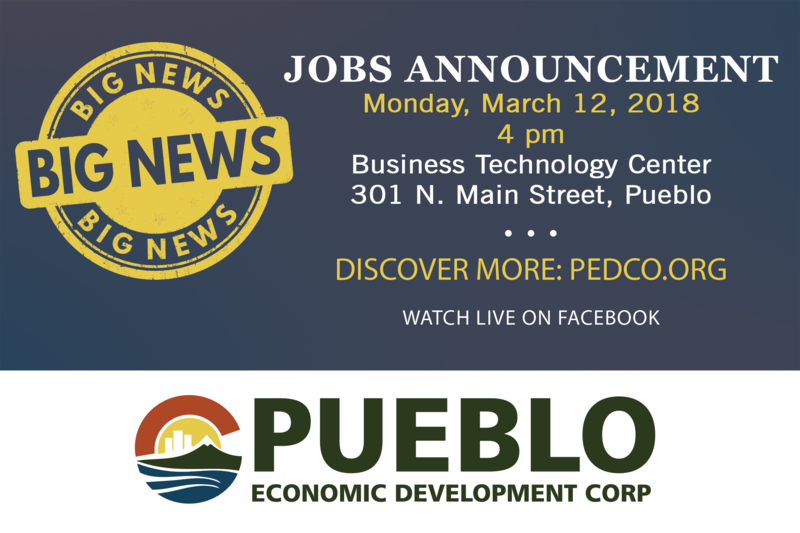 On Tuesday night a community meeting was held to discuss the future of PEDCO and what Pueblo residents want to see from the organization that uses their tax dollars to attract businesses. About 50 people gathered at Saint Pius X Catholic Church. Many came with ideas, but also a lot of questions: where is Pueblo headed? What is PEDCO doing to make it a better city? 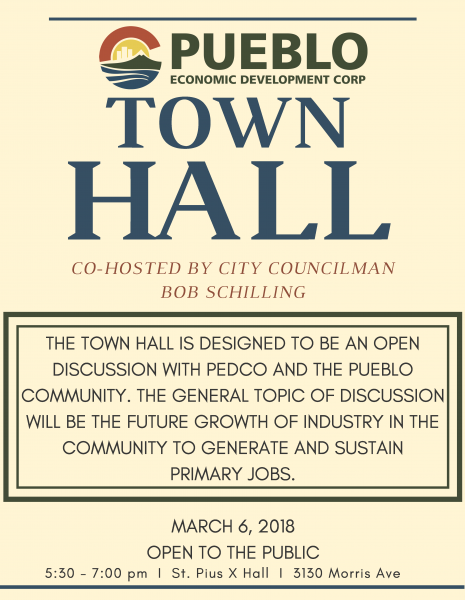 Read the article about PEDCO’s first Town Hall of 2018 at KOAA.com! More than two months of local cheer-leading and a social media campaign that included help from Gov. John Hickenlooper and even “Miles” the Denver Broncos mascot, Pueblo edged past Williamsburg, Va., to win the Leslie B. Knope Award, named after actress Amy Poehler’s character on the NBC show “Parks and Recreation,” which distinguishes the winner the best in the country. Last week, Pueblo trailed by more than 1,000 votes through Thursday, but was able to pull ahead by 4,000 votes Friday and never looked back. 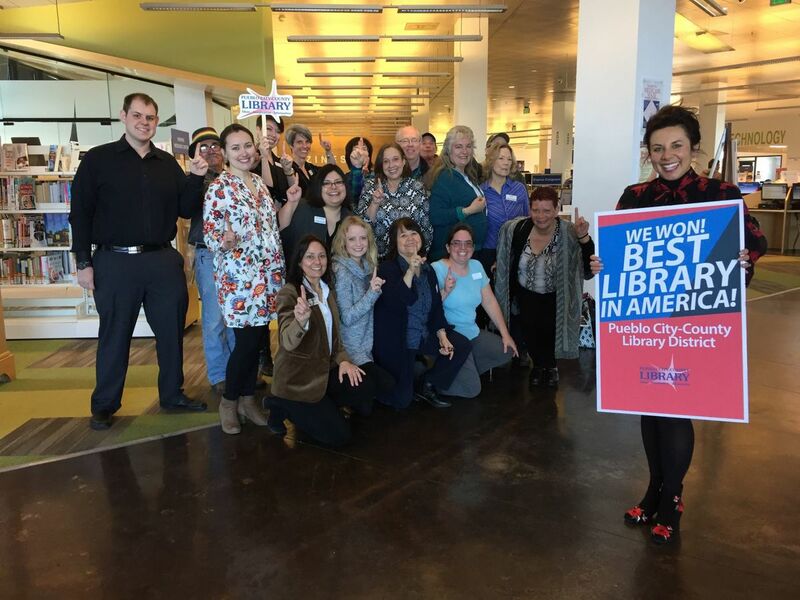 “This is just an awesome thing for Pueblo and we have really been overwhelmed with all of the support and kind words about our library district and the community,” Midori Clark, director of community relations for the library district said Monday. Learn the final tally results and read the full article here! For more information please call (719) 544-2000 or email nkingery@pedco.org. The Department of Higher Education announced Tuesday campus partnerships that will support minority students at both of Pueblo’s colleges to reach key educational milestones. Kim Hunter Reed, executive director of CDHE, announced a $500,000 Talent, Innovation and Equity grant before more than 40 business and community leaders from across the state Tuesday at History Colorado in Denver. The grant was awarded by Lumina Foundation last year and will be used for programs at Colorado State University-Pueblo and Pueblo Community College, as well as Community College of Aurora. “We are honored to partner with CDHE on an initiative that maps to the goals we have set at Colorado State University-Pueblo. Our faculty and staff at CSU-Pueblo know that academic ability is not limited to a zip code,” said CSU-Pueblo President Timothy Mottet. PCC President Patty Erjavec said the opportunity to partner with the department and the Lumina Foundation provides PCC with some additional resources and the support to further foster the school’s vision of becoming a TRIO-like college. “This is a wonderful opportunity for PCC to partner with CDHE and the Lumina Foundation to move forward our vision for student success with our most vulnerable populations. Again, I stress that we have smart, capable students who have so much potential. They simply need our collective support to achieve the unimaginable,” Erjavec said. Both PCC and CSU-P are members of PEDCO, read the full story about the grant here! WASHINGTON — The outdoor recreation industry accounted for an estimated 2 percent of the country’s gross domestic product last year — with $374 billion in economic activity — according to a government report out Wednesday. “We’ll be able to show that we have government-backed data that talks about the importance of investing in recreation,” said Amy Roberts, executive director of the Boulder-based Outdoor Industry Association. New numbers released by the Colorado Space Coalition reveal there are a total of 26,620 private sector aerospace jobs in our state. In 2017, jobs grew by 4.7 percent, adding more than 1,000 workers, making Colorado number two in the nation for aerospace-related employment. “Colorado was the draw. The views, the outdoor activities,” said Angie Wise of Sierra Nevada Corporation. “You have Denver, you have Boulder, there’s so much packed into this area.” The company is developing a spacecraft to take cargo to and from the International Space Station (ISS). Watch the video and read the full article here! The U.S. added 200,000 jobs in January, continuing the trend of steady job growth for another month, the Bureau of Labor Statistics reported on Friday. That means the economy has now added jobs for 88 months in a row. Average hourly earnings rose by 9 cents to $26.74, with a year-over-year growth of 2.9 percent — the highest rate of growth the BLS recorded since June 2009. 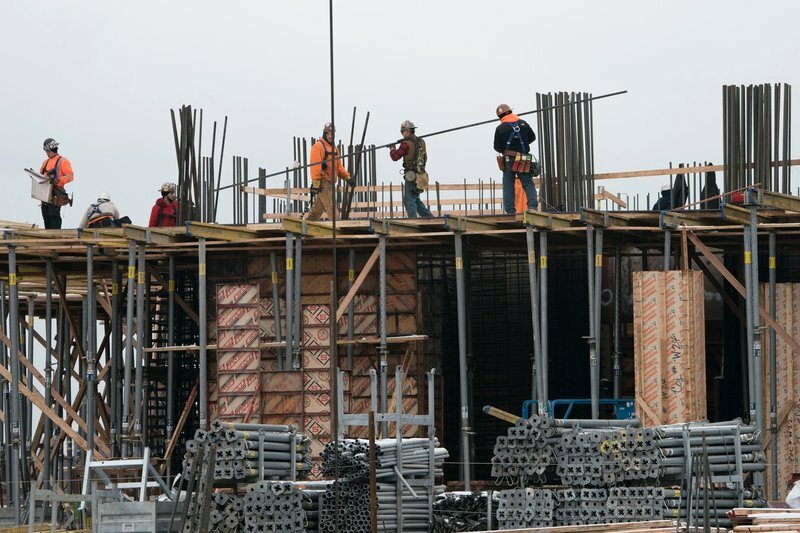 The rise in employment was driven by the construction industry, restaurants, health care and manufacturing, all sectors that added jobs last month. NPR has the full article.